Just over 10 years ago, The Chronicles of Narnia franchise launched with the big screen adventure The Chronicles of Narnia: The Lion, The Witch and The Wardrobe, which paved the way for 2008's The Chronicles of Narnia: Prince Caspian and 2010's The Chronicles of Narnia: The Voyage of The Dawn Treader. It's been over two years since we heard anything about the fourth installment, The Chronicles of Narnia: The Silver Chair, with a December 2013 report that Life of Pi writer David Magee came aboard to write the script. Today we have a new update from producer Mark Gordon, who reveals that The Silver Chair will reboot the franchise entirely. Here's what he had to say, when asked if any characters from the first three movies would be involved. "We're hoping to be able to make the movie very shortly. We're very excited about it. No, it's all going to be a brand new franchise. All original. All original characters, different directors, and an entire new team that this is coming from." The producer then clarified that these "new characters" will be characters who originated in C.S. Lewis' beloved novel series, but haven't been featured in any of the previous movies. The choice to reboot the property makes sense because The Chronicles of Narnia: The Silver Chair novel is set decades after the events of The Chronicles of Narnia: The Voyage of The Dawn Treader in Narnia, although on Earth, only a year has passed. The story centers on Aslan the Lion sending two children, Eustace Scrubb and Jill Pole, to resolve the mysterious disappearance of King Caspian X's only son, Prince Rilian. The reboot also makes sense from a financial standpoint, since each entry in the franchise suffered drastic decreases at the box office. The Chronicles of Narnia: The Lion, The Witch and The Wardrobe debuted in 2005 and was an instant hit, taking in $291.7 million domestically and $793 million worldwide, from a whopping $180 million budget. The sequel The Chronicles of Narnia: Prince Caspian earned $141.6 million domestically and $419.6 million worldwide from a $225 million budget, and The Chronicles of Narnia: The Voyage of The Dawn Treader earned $104.3 million domestically and $415.6 million worldwide from a $155 million budget. The Mark Gordon Company took over the rights to the entire Narnia franchise from The Walden Group back in 2013, after the company signed a new deal with The C.S. Lewis company. It isn't surprising that Mark Gordon would want to start fresh, and there are still three other C.S. Lewis novels in the Narnia series that the producer could adapt if The Chronicles of Narnia: The Silver Chair proves to be a hit. 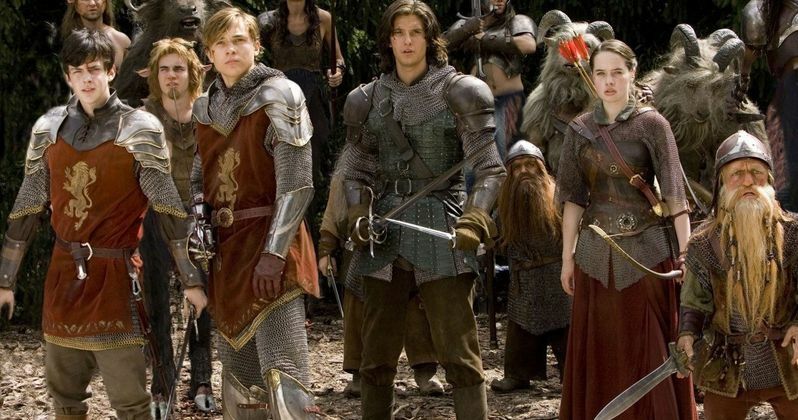 What do you think about the news that Narnia will get the reboot treatment?